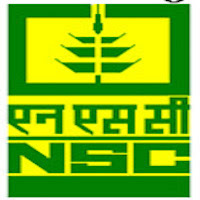 NSC Jobs Recruitment Notification 2019.National Seeds Corporation inviting applications for the positions of Deputy General Manager, Assistant Grade – I, Management Trainee, Senior Trainee, Diploma Trainee, Trainee and Trainee Mate.Interested and Eligible candidates can apply for the positions. Last Date for Submission of Application is on February 09th, 2019. Total number of vacancies is to be filled in National Seeds Corporation is 260 posts. Department wise openings are given in below. Applicants who have completed MBA/ PG Degree/ Diploma/ Degree (B.Sc), (BCA)/M.Sc./ intermediate they are eligible for the posts of Deputy General Manager, Assistant Grade I , MT, Senior & Diploma trainee and Trainee Mate. Age limits are given in based on branches. For Deputy General Manager age limit is 50 years. For Assistant Grade I age limit is 30 years. And for remaining posts age limit is 27 years. Appointed applicants will get pay monthly income on the basis of departments. Selection process will held on the basis of written test and interview. Application process has been conducting on online by National Seeds Corporation Recruitment 2019 Notification to the said posts on above from 19th January 2019 to 09th February 2019.
https://www.indiaseeds.com/ is the link to apply the application form for applicants is directly.